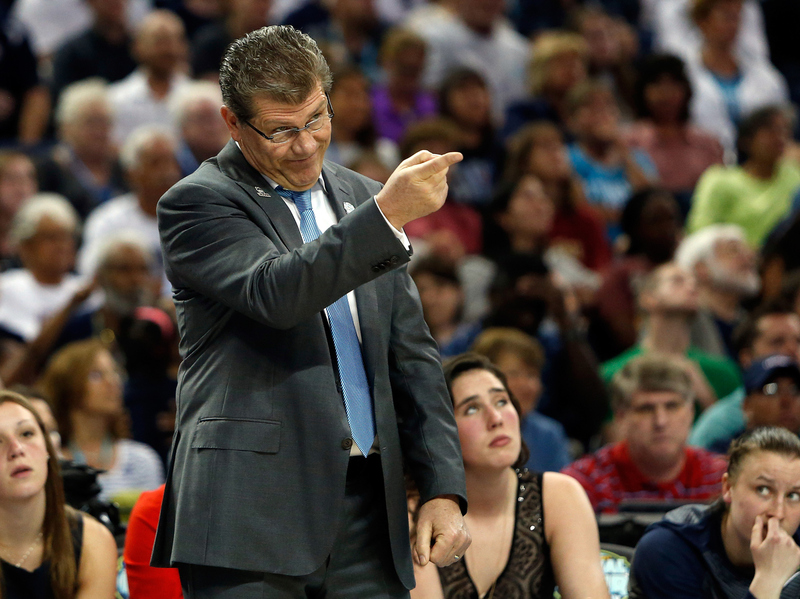 Connecticut Wins 3rd Straight Women's Basketball Title, 5th In 7 Years : The Two-Way With the 63-53 victory over Notre Dame, coach Geno Auriemma collects his tenth championship ring since 1995 — a streak of dominance few teams or coaches in any sport can compete with. Notre Dame guard Lindsay Allen shoots against Connecticut forward Breanna Stewart as Connecticut guard Moriah Jefferson looks on April 7 during the first half of the NCAA women's college basketball championship game in Tampa, Fla. 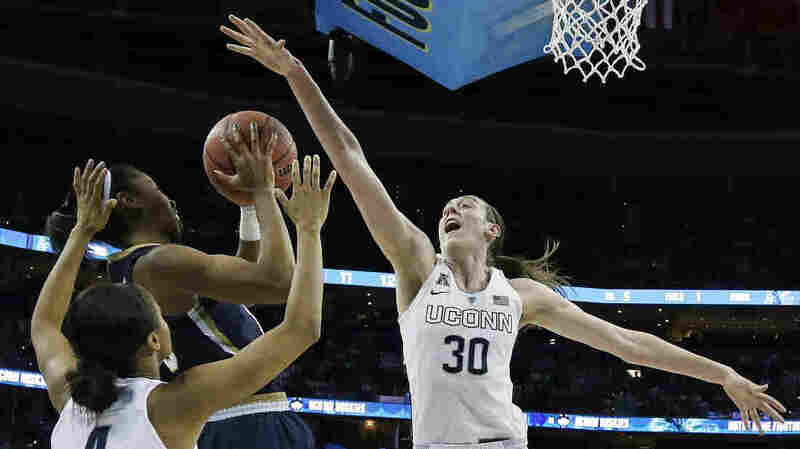 It's the kind of long-term dominance only the New York Yankees, Montreal Canadiens or John Wooden's UCLA teams could rival: Since 1995, the University of Connecticut women's basketball team has basically had coin-flip odds of winning a women's basketball championship. The Huskies took home their tenth trophy in that span on Tuesday night, beating Notre Dame 63-53 in a rematch of the 2014 title game, which UConn won 79-58. 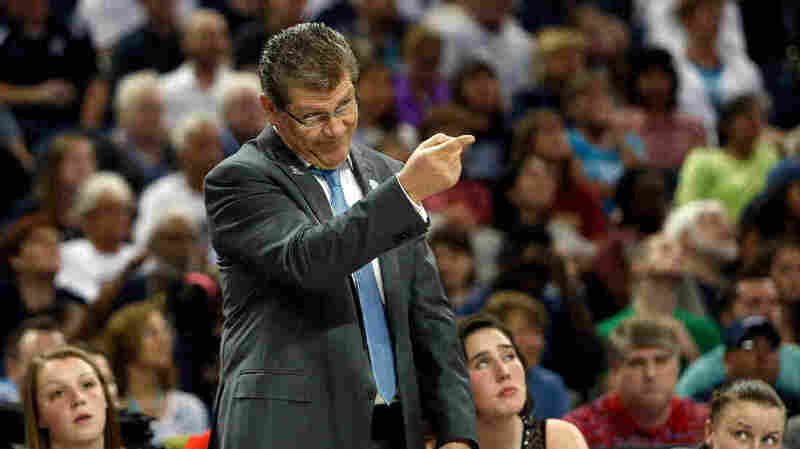 Head coach Geno Auriemma of the Connecticut Huskies calls to his players in the first half against the Notre Dame Fighting Irish. Tuesday's game was closer for the Fighting Irish, but it wasn't necessarily prettier: Midway through the second half, neither team was shooting better than 40 percent from the field, and Notre Dame had more rebounds than points. 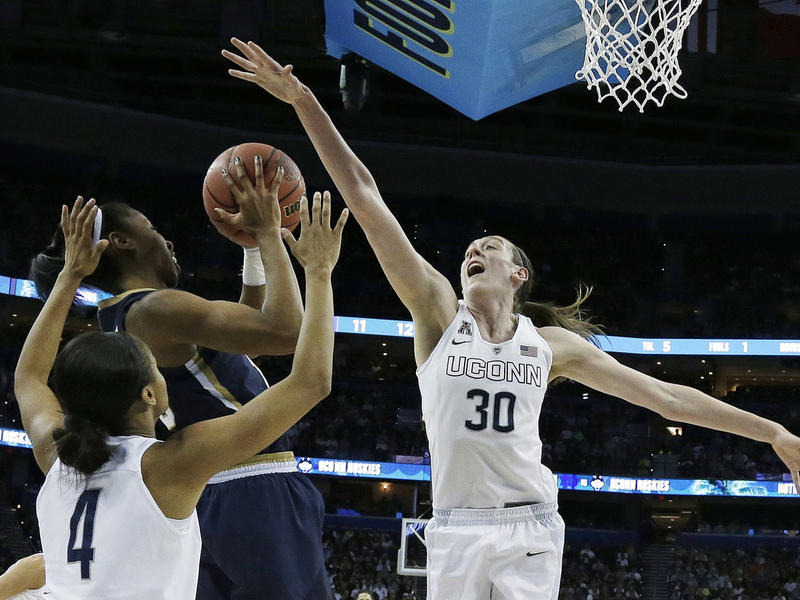 Two-time national player of the year Breanna Stewart had 8 points, 15 rebounds and 4 blocks for the Huskies, while Moriah Jefferson and Kaleena Mosqueda-Lewis each had 15 points. With the win, the Huskies are now 78-1 in the past two seasons.